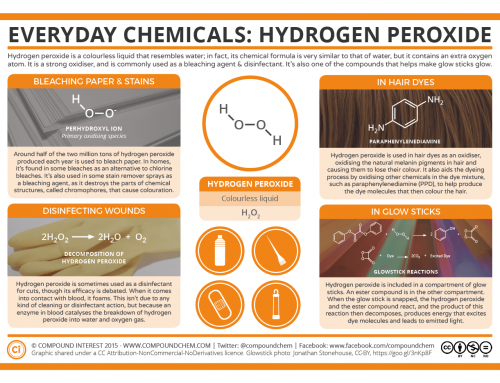 This is the first in a series of graphics planned to look at the chemistry and uses of some everyday chemical compounds you can find in a variety of products around your home. 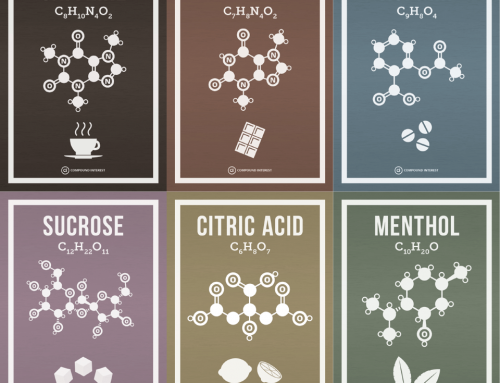 The series was inspired by conversation with @chemtacular on twitter, as well as the ongoing chemophobia discussion (about which you can read more here, and here). 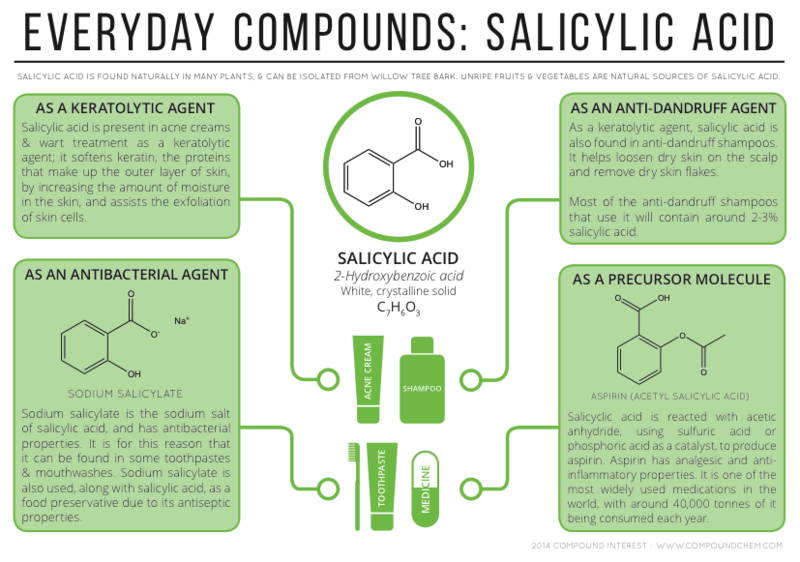 To kick off the series, this graphic takes a look at salicylic acid, and its uses in acne creams, shampoos, toothpastes and the synthesis of aspirin. Salicylic acid is a naturally occurring compound, which can be isolated from the bark of the willow tree. It can also be synthetically produced, either by biosynthesis of the amino acid phenylalanine, or from phenol. 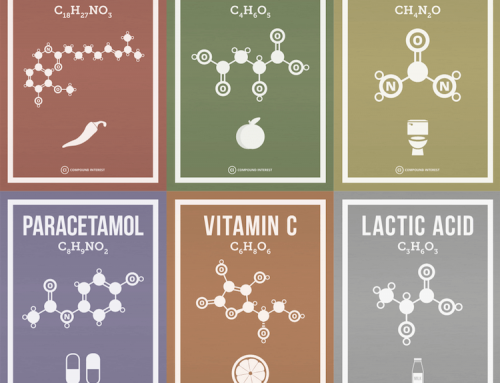 Naturally, salicylic acid and its derivatives are also found in fruits, particularly berries, and vegetables. 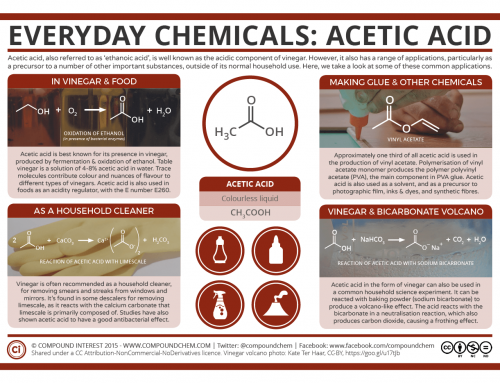 Salicylic acid is a common active ingredient in topical acne creams, usually in concentrations of up to 2 percent. It works by acting as a keratolytic agent, softening the outer layer of the skin and causing the skin cells to shed more readily. It also helps unclog skin pores, but does not affect the oiliness of skin, nor the bacteria which causes acne. Formulations containing 17% and 27% salicylic acid are used for wart removal. Salicylic acid’s keratolytic effect is also behind its use in anti-dandruff shampoos. These will typically contain up to 3% salicylic acid, which helps to loosen and remove dry skin on the scalp. The sodium salt of salicylic acid, sodium salicylate, is often added to mouthwash and toothpastes as an antibacterial agent. Studies have shown that, as well as having its own antibacterial effect, it can promote the effects of other antibiotics in some cases. Due to its antiseptic effect, it is also has limited use as a food preservative. Salicylic acid is one of the organic compounds from which aspirin can be synthesised. As shown below, it can be reacted with acetic anhydride, using a sulfuric acid or phosphoric acid catalyst, to produce aspirin and acetic acid as a side product. Aspirin is used as an analgesic to relieve minor aches and pains, and as an anti-inflammatory agent. 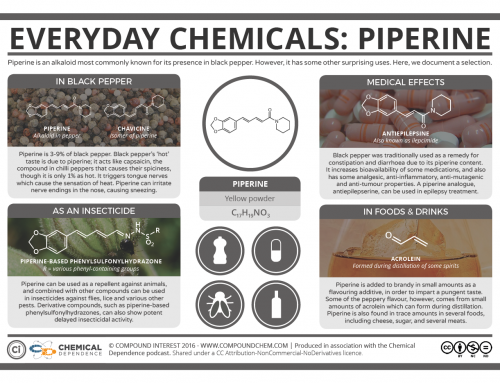 It is also used long-term at low doses to help prevent heart attacks, strokes, and blood clots in some patients. Around 40,000 tonnes of aspirin are consumed worldwide every year. Download the A3 PDF of the graphic here. ‘The effect of sodium salicylate on antibiotic susceptibility’ – P Domenico et al.